Kareena Kapoor Khan is Sonam Kapoor’s “favourite hero” she has worked with. 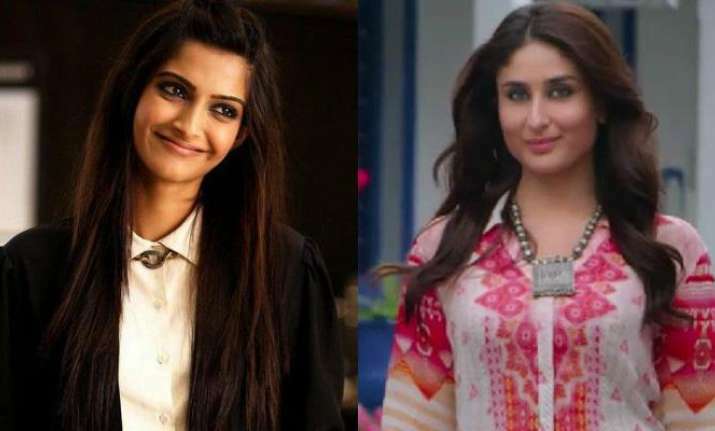 Sonam and Kareena star together in Veere Di Wedding, which also features Swara Bhaskar and newcomer Shikha Talsania. At the film’s trailer launch here on Wednesday, Sonam was asked that since the film does not have a male lead, what was her experience like. She said: “My favourite hero I have ever worked with is Kareena Kapoor. I am telling you, it is the easiest thing to work with other women. When asked why haven’t there been enough films about female bonding, other than “Aisha” which also starred Sonam, the actress said: “‘Aisha’ wasn’t a friendship film. It was a film about a girl and her friends. But this film is an ensemble film that is about each girl’s journey. Each of us has an equally important story to tell. “Of course, the story is about one of the friends getting married and it is from her perspective. “It is a story about friendship, about girls… And I don’t think such a film has been made before where it is entertaining, it is fun, it has got romance, dance and drama. It has got everything. Why can’t women headline a female commercial film which has a story about girls? Veere Di Wedding, directed by Shashanka Ghosh, revolves around four friends attending a wedding. Presented by Balaji Motion Pictures, Anil Kapoor Films and Communication Network and Saffron Broadcast and Media Ltd, the film is scheduled to release on June 1.